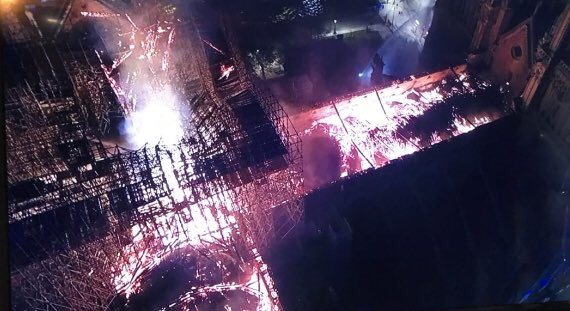 Update 11: While the staggering outside damage to the historic French cathedral has yet to be assessed, it would appear that despite the massive damage to the frame and the wooden roof, the inside of the Notre Dame was miraculously spared. "It is our common history that is burning, he said." And here's a look at tomorrow's front pages. Meanwhile, as one Twitter account pointed out, a number of historic tragedies have unfolded on April 15...could this be a sign from the universe? Shedding more light on the cause of the fire, an expert in New York told the NYT that construction and renovation fires at old churches and synagogues aren't that common (an iconic church in NYC burned down last year under similar circumstances). "There’s a history of churches and synagogues and other houses of worship falling victim to construction fires," he said, adding that one of the reasons for the peril was the proximity of open flames on torches, sparks from welders and other hazards on scaffolding to other flammable materials. Rebutting Trump's suggestion that France try to put out the fire by dumping water on the blaze via the air, French emergency services said such an operation could cause the whole thing to collapse. "It hurts to watch this," said Pierre-Eric Trimovillas, 32. "The cathedral is the symbol, the heart of Paris." The crowd gasped and cried in horror as the spire fell, Mr. Trimovillas said, adding, "Paris is beheaded." 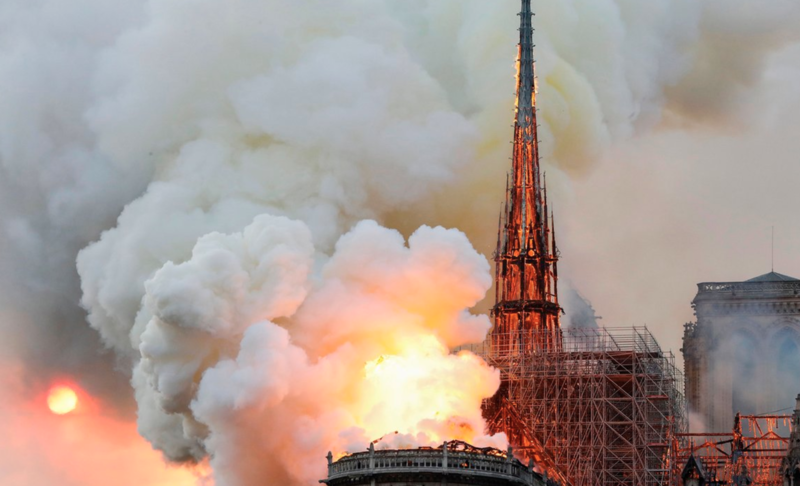 Another described it as "eight centuries of history up in smoke." Christine Lagarde weighed in on twitter, saying she shared the sadness of the French people. One can't help but wonder how the destruction of Notre Dame, and the presumed hit to tourism revenues, might impact France's growth prospects. Update 7: Demonstrating just how ineffectual YouTube's automated systems for filtering out 'conspiratorial' content truly are, BBG reports that one of the company's algorithms accidentally flagged a live stream of the fire at Notre Dame as a "9/11 conspiracy". 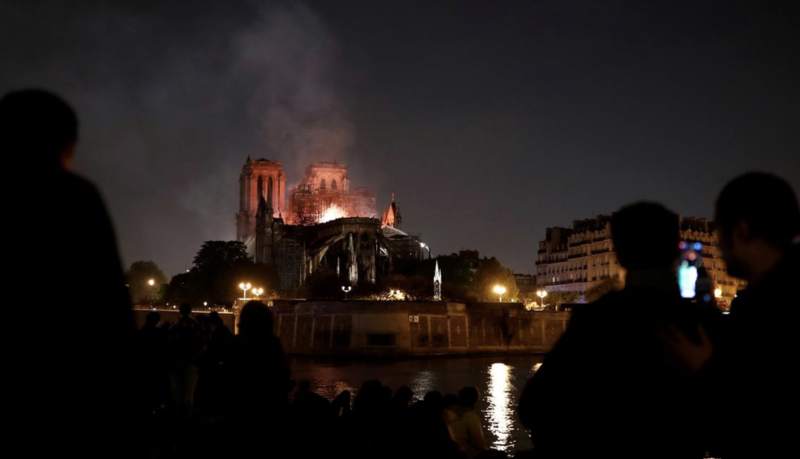 Meanwhile, France's interior minister has Christophe Castaner is the latest official to confirm that the cathedral might be completely destroyed, as firefighters might not be able to save it. "The next hour and a half will be decisive," a spokesman for the city’s firefighters said at 9:30 pm Paris time, according to the NYT. 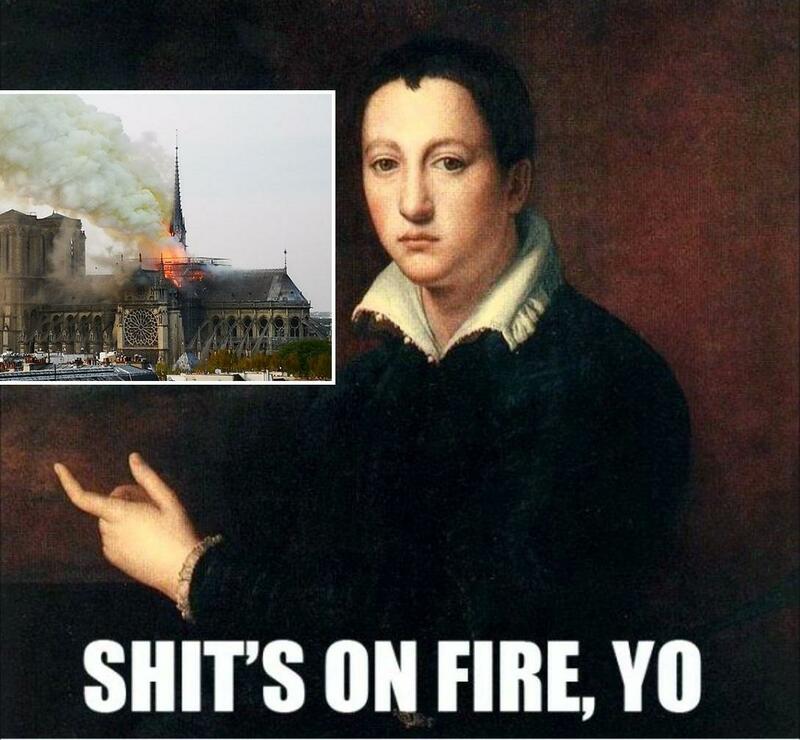 They also revealed that the fire started in the attic of the cathedral. 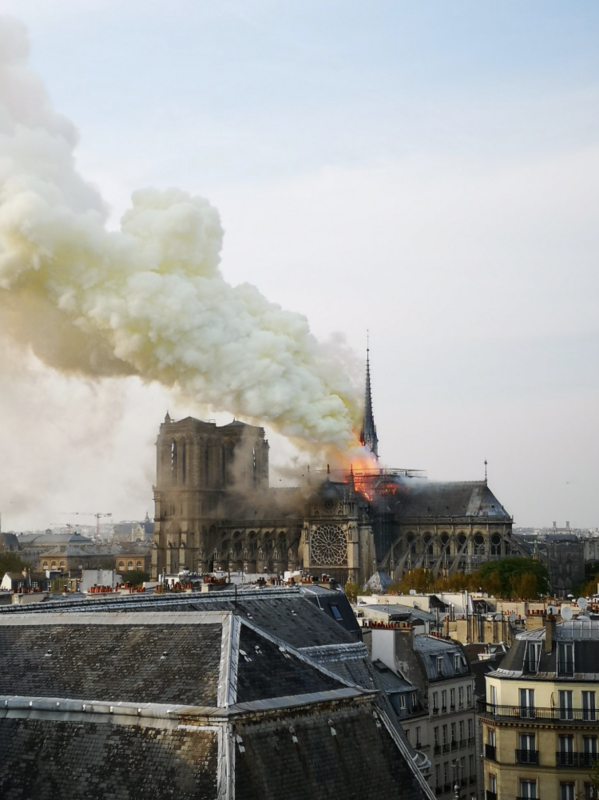 "We’re not sure of being able to stop the spread of the fire in the north belfry," the spokesman told television interviewers, adding that the fire had started in the cathedral’s attic. "I leave you to imagine, in that case, the extent of the damage." 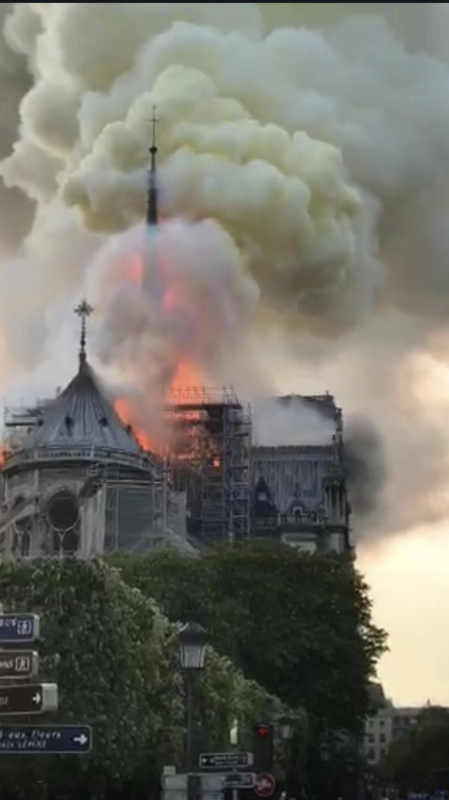 Firefighters are also struggling to save the northern tower of the cathedral, which is currently on fire and presently in danger of collapse. 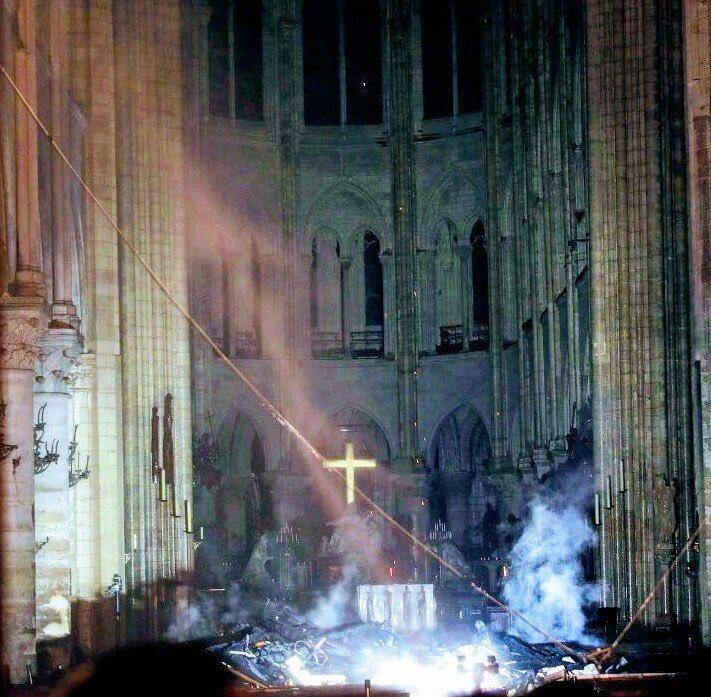 Update 6: A priest at the cathedral has told reporters that all of the priceless artwork inside the cathedral has been saved, including the crown of thorns and that "the treasure of the cathedral" is intact. 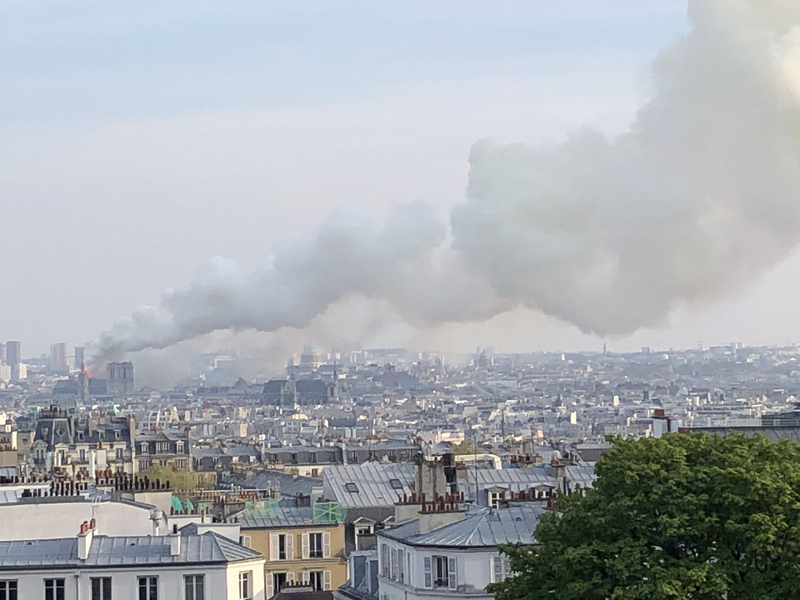 Update 5: Though police quickly assured the public that the cause of the fire was 'accidental', Paris prosecutors have reportedly opened an investigation into what started the blaze. As 400 firefighters combat the blaze, the flames have spread to one of the two towers that adorn the facade. 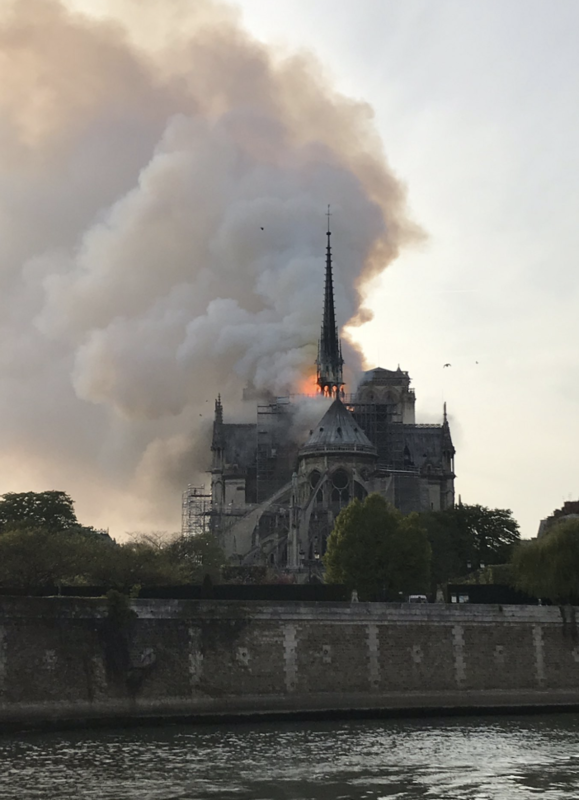 The blaze is expected to burn for several hours, and a church official has told reporters that they expect the cathedral to be completely destroyed. While addressing a round table on the economy in Minnesota, Trump offered more comments on the fire, Trump said the cathedral "looks like it's burning to the ground." Macron offered his thoughts and prayers to all Catholics in a tweet. Unesco is also closely monitoring the situation. 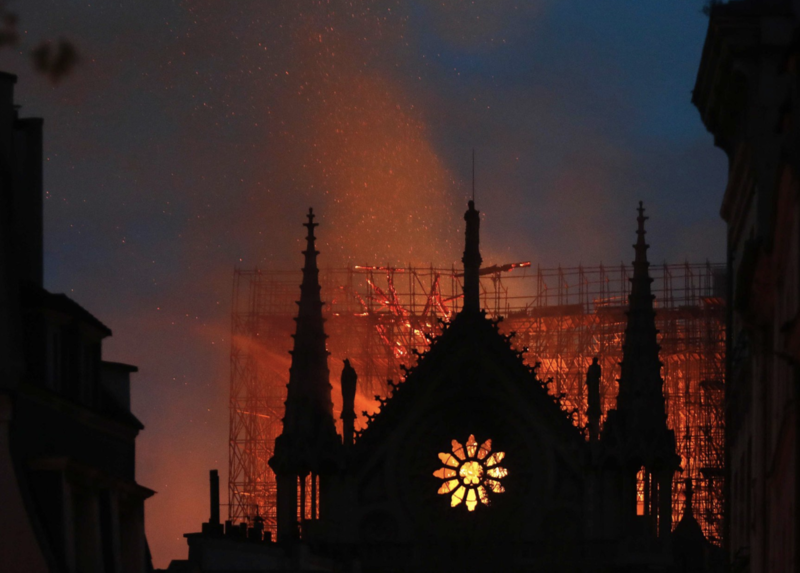 Though officials say the fire looks like an accident, it's certainly curious that ten Catholic churches have been vandalized across France in the span of a week. With the inside probably irrepairably damaged, if not completely lost, some are sharing photos of the interior of the cathedral. 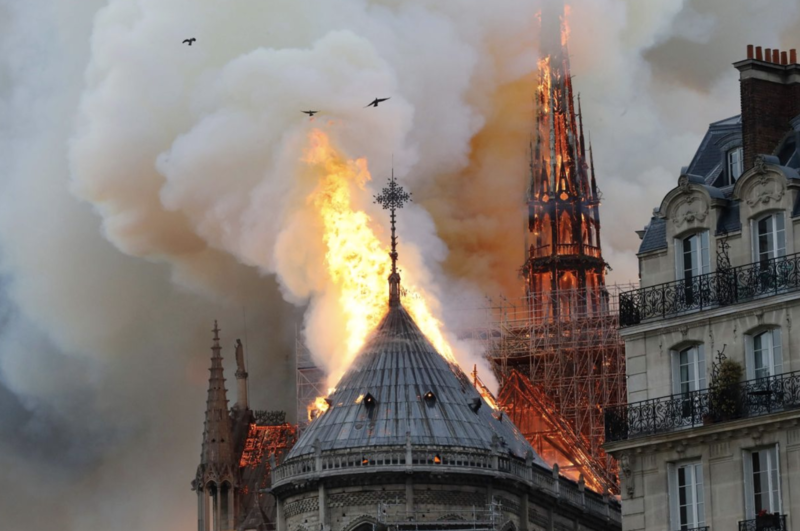 To recap, the cathedral's 15-foot lead spire has collapsed, and the roof has as well, during holy week on the Catholic calendar, which is a busy season for Paris's most popular tourist attraction. This is (most likely) what is causing the fire to "run the roof" as seen in the first picture. The fire is essentially burning unchecked. This option also means placing responders on the inside as the roof is falling down around them. And we aren't talking shingles. If unaccounted for, where were they and how many? What does a rescue task force look like? How many responders do you place in additional harms way for unconfirmed reports? I don't have these answers at a distance, but the responders on scene are asking them and forming plans. And lets pause to remember how fires actually burn. You need oxygen, fuel, heat and a chemical chain reaction. Removing the fuel is a no go. Churches have no shortage of things to burn. The heat that a fire this size is putting off is tremendous. Little options for interrupting that. The chemical chain reaction is off to the races. That horse left the stable in the first five minutes. Finally, I'd be worried about construction materials not usually found in churches (since it was under renovation). Things that can explode, things that don't like being hit with water, Hazardous materials that can run off / go airborne, etc. Finally - especially this deep in to the fire - you have to be thinking about collapse of some or all of the structure. 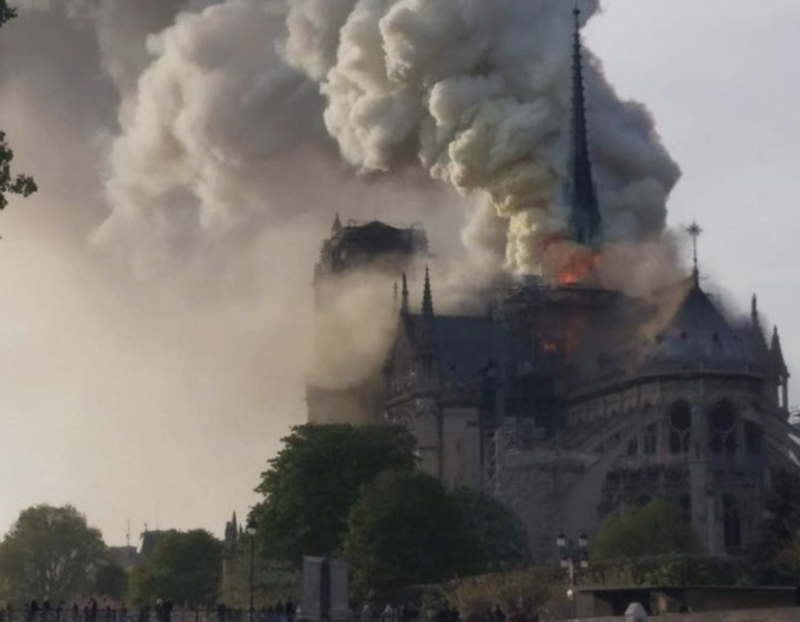 Update 3: It's looking increasingly likely that the cathedral will be burned to the ground after a church spokesman confirmed that its entire frame is on fire after the spire collapse. The government is desperately trying to save the artwork inside the cathedral. 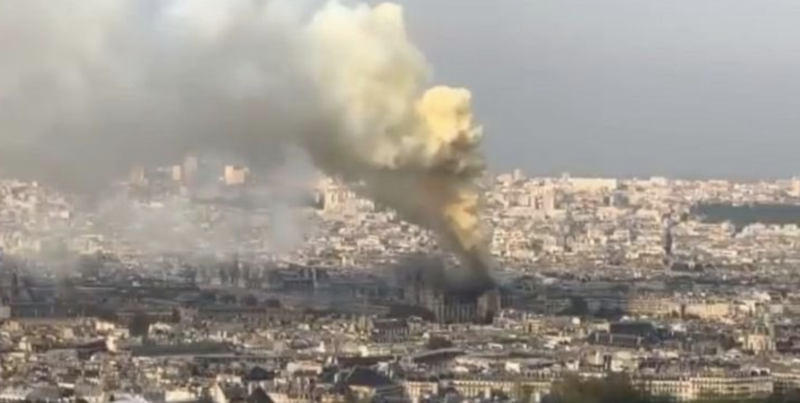 PARIS (AP) - A church spokesman has told French media that all of Notre Dame Cathedral's frame is burning after spire collapsed. 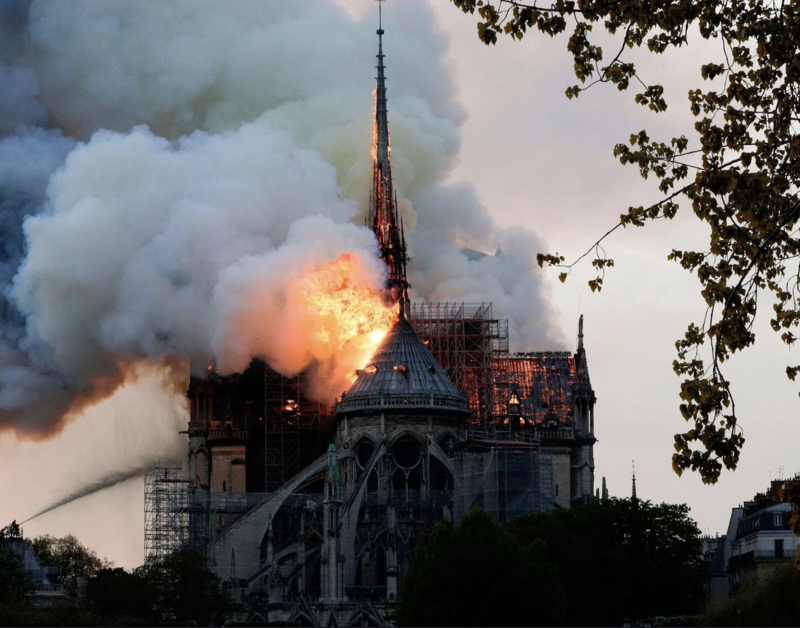 PARIS (AP) - Paris emergency services now trying to salvage the artwork stored in Notre Dame Cathedral from the huge fire. French firefighters are still putting together a plan to put out the blaze. 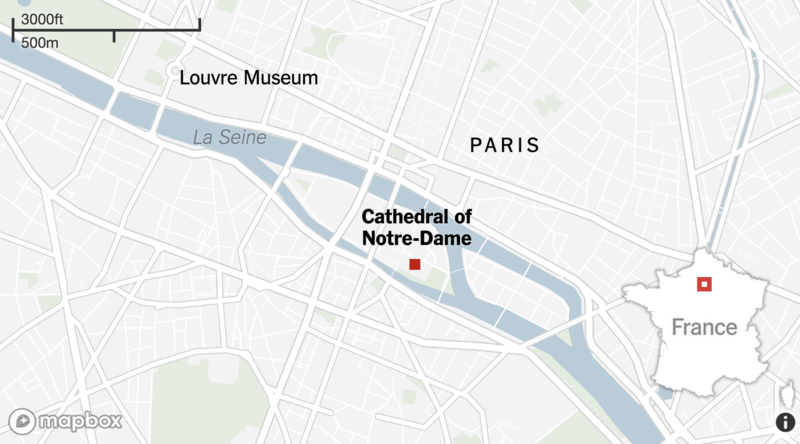 The cathedral's location on a small island in the middle of the Seine certainly isn't helping. 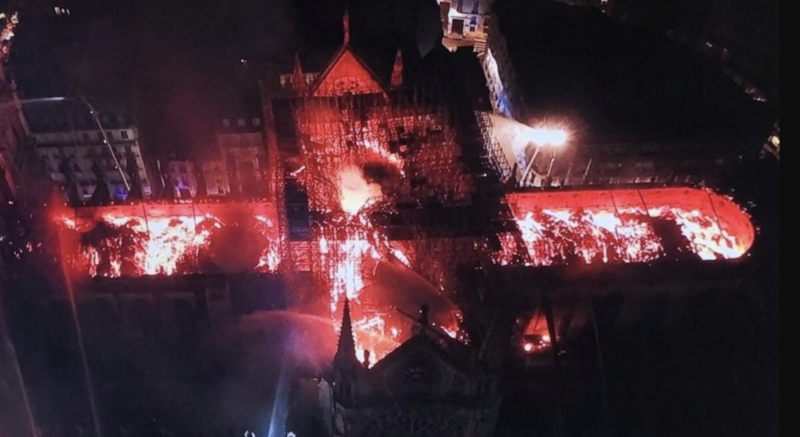 Though the cathedral has endured a number of threats during its more than 850 year history, the damage from today's fire is unprecedented, one source claimed. The cathedral was ransacked during the French revolution, but was largely rebuilt in the 1840s. The spire that collapsed went up about 150 years ago. Update 2: The cathedral's spire and roof have now collapsed. Here's a live feed of the fire. 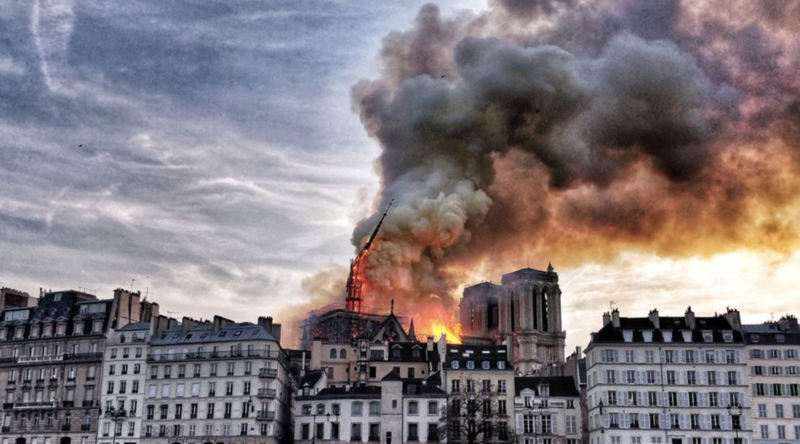 At this point, firefighters attacking the blaze are treating it as an accident somehow related to the "massive" construction happening at the cathedral, which was being renovated. Police later confirmed that the fire was an accident linked to the renovation work. 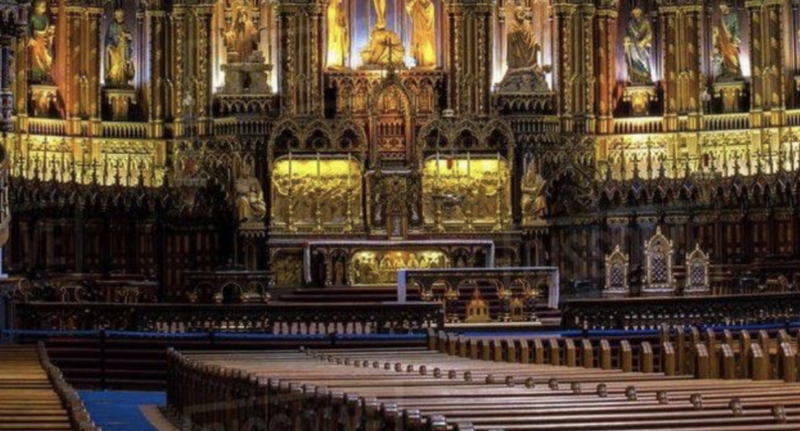 The cathedral had been undergoing a $12.5 million renovation financed by the French state, after the Catholic church in France launched an "urgent" campaign to raise funds for the renovation, because the cathedral was starting to crumble.